Mary Wade To Us: 1986 · Mary Wade Family History Association Inc. 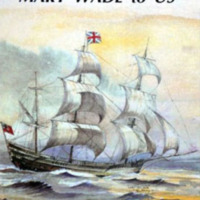 In 1986, the book 'Mary Wade to Us' was published, the result of years of research and hard work. It contained family trees for each of Mary's descendants, stories and photos of current and past families. An extract from The Crier in Campbelltown relating to the 1984 Muster of Mary Wade's descendants.